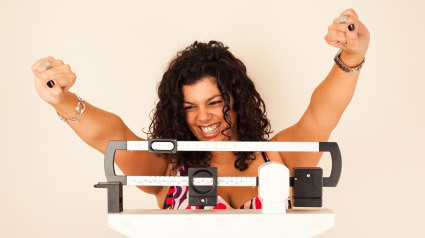 When on the Hcg diet, most are shocked to see results come so quickly! But this diet is no joke; there is no waiting months before seeing results. You will see your first results on the 4th day of the diet. As you can see from the program, Phase 1 is all about loading, which takes place in the first 2 days. On the 3rd day of the diet you start the 500 calorie program for the desired amount of time you have chosen as your goal. On the 4th day of the diet when you wake up empty your bladder, you should see your first set of results for the diet. Make sure to note your weight at the end of your phase 1 which would be on the morning of day 3. Weighing yourself on morning 3 will be your start weight for the entire diet. The results for day 4 can vary from person to person, I have seen anywhere from 2-4lbs of weight loss. (Note, skipping loading days will not result in better results ,in fact skipping these important 2 days of the diet will only hurt you) Loading days are a sort of “jumpstart” for the burning process, your body reacts to the severe amount of intake all at once, then the decrease all at once. This process is the key to creating the need for above average burning of calories by your body.